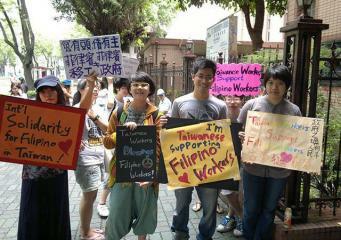 Filipino migrants are innocent. They should be protected. This is the call of the International Migrants’ Alliance as it urgently demands both the Philippine and Taiwanese governments to immediately resolve the conflict that rose from the May 9 shooting of a 65-year old Taiwanese fisherman. End the Neoliberal Globalization Agenda Now! Migrant workers all over the world will go out today to join their local brothers and sisters in celebrating the 2013 International Labor Day. A momentous day to be celebrated by remembering the many victories of many years of united and collective struggle from the working class – livable wages, eight working hours, better working conditions, fair and just contracts, rights and welfare benefits. It is worthy to include in these victories those that have been won by migrant workers themselves – passage of international conventions and national laws aiming to protect the rights of migrants, increase in wages of a few sections of the migrant sector, recognition of domestic work as work, among many others.